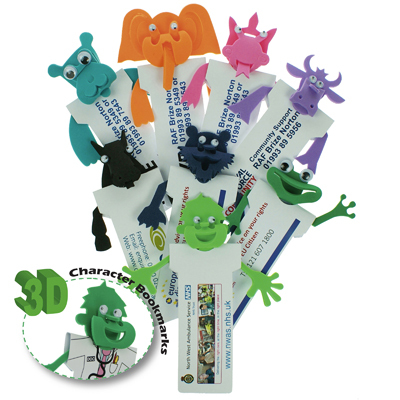 Description: A massive range of bright coloured foam characters attached to a recycled card Bookmark printed full colour available. Additional Information This product is cut, printed and assembled in the UK and is done so to order. Notes Prices includes a single colour print to 1 position unless stated. Set up and carriage are additional.